Undoubtedly, everyone prefers iPhone over other smartphones because of its intuitive camera features, and quality. However, many users face various types of issues with their iPhone. The most common problems that users encountered with their device such as iPhone is stuck and cannot turn off, freezing, and many more. Their iPhone become unresponsive and make users frustrated. These problems require users to shut down their iPhone forcibly so that they can start their iPhone from scratch. That's why we come up with methods to tell users who are not aware of how to force shutdown iPhone. Whenever your iPhone is not responded, you can turn off your iPhone manually to make it responsive back. It is because if your iPhone got freeze due to software issue then force restart can probably fix this problem. 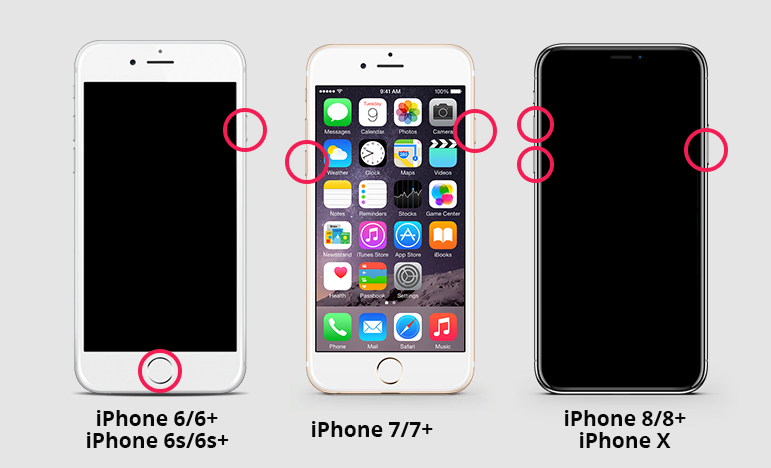 No matter which iPhone model you are using whether it is latest one or older, here we have covered force turn off iPhone for every iPhone model. Press and release the volume up button quickly. Again, press and release the volume down button quickly. After that, press and hold down the side button or power button until the Apple logo does not appear on your iPhone screen. Press and hold down the power or side button and volume down button at same time. 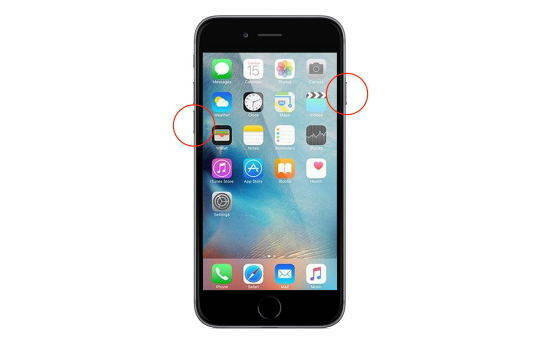 Keep holding both buttons until the Apple logo does not appear on your iPhone screen. Press and hold down the side/power and home button together. Hold both buttons until you don't see Apple logo on your iPhone screen. Suppose your iPhone X (or other iPhone) is freezing and won't turn off or turn on, you can try these tips to force restart it. If you can't turn off your iPhone when it gets stuck or freeze then another way to shut down iPhone is to drain off its battery completely. This will automatically turn off your iPhone when its battery reaches zero. Now wondering how you can drain off your iPhone battery? Then, it is so simple. Use your iPhone continuously until its battery is not drained off. You can play music or run apps which consume a large percentage of battery life such as watching something on YouTube. You can also check your iPhone setting for the battery which app consumes more battery power. Thus, draining off iPhone battery is another smart way to force turn off iPhone. You can try this method if you can't turn off your iPhone manually. ReiBoot, as its name shows, is the best way to reboot an iPhone/iPad/iPod touch. It is a small utility with neat interface. All you need is two clicks to hard reset an iPhone X/XR/XS/8/7/6s/6/5 or iPad/iPod easily. Run this program after installation and connect your frozen iPhone to computer. Click "Enter Recovery Mode" and put iPhone into recovery mode. And then the "Exit Recovery Mode" is highlighted, click it to force restart your iPhone. This is by now the easiest free method to force shut down iPhone without Power or Home button. 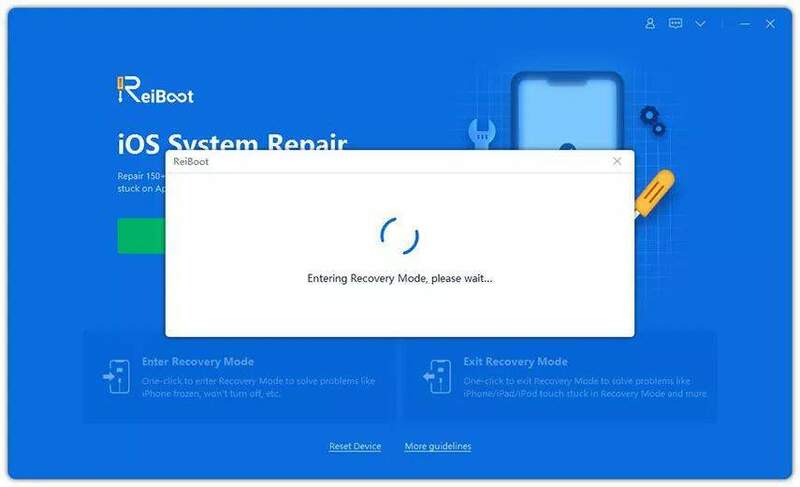 If enter and exit recovery mode does not help you hard restart your device. You can upgrade to use the "Repair Operating System" feature to recover iOS system. It has the capability of fixing various issues without any data loss such as iPhone/iPad freezing, iPhone keeps dropping calls, iPhone spinning wheel, etc. Select "Repair Operating System" feature and you'll enter the repair interface. Click "Start Repair". Prior to repair, you need to download firmware according to your iPhone operating system and thus, download the firmware. Once the firmware is downloaded, the software will start repairing the operating system of your iPhone and wait for a few minutes to complete the process. By restoring iPhone from iTunes can also fix minor iOS issues that you are facing now. However, the downside of the restoring iPhone from iTunes is it will erase your iPhone data and is passcode. So, backup your iPhone data before proceeding with this method. To commence the process, run the latest iTunes version on your computer and after that, connect your iPhone to the computer using a digital cable. Once the computer detects your iPhone, click on the device icon and then, click on the "Summary" tab. After that, tap on the "Restore iPhone" and when the dialog box appears, again click on the "Restore" option. Now, it will erase your iPhone data and install the latest software on your iPhone. Once restore process completes, your device will restart and you can activate your iPhone as new. Hence, now you have learned various methods to force shutdown an iPhone, in case you encounter with iOS issues on your device. Among all the methods that we have mentioned, Tenorshare ReiBoot is most powerful methods to come out of various iOS issues. It will give ultimate results to you and thus, try the software yourself and must provide feedback to us via below comment section.